I decided to start officially making squares for my 200 Blocks in 200 Days challenge on April 1st, which means I now have the first 8 squares to show off. I am using a size G crochet hook for each square, and I am weaving in ends and edging each square with the same stitch count as I go along to help save finishing time later. 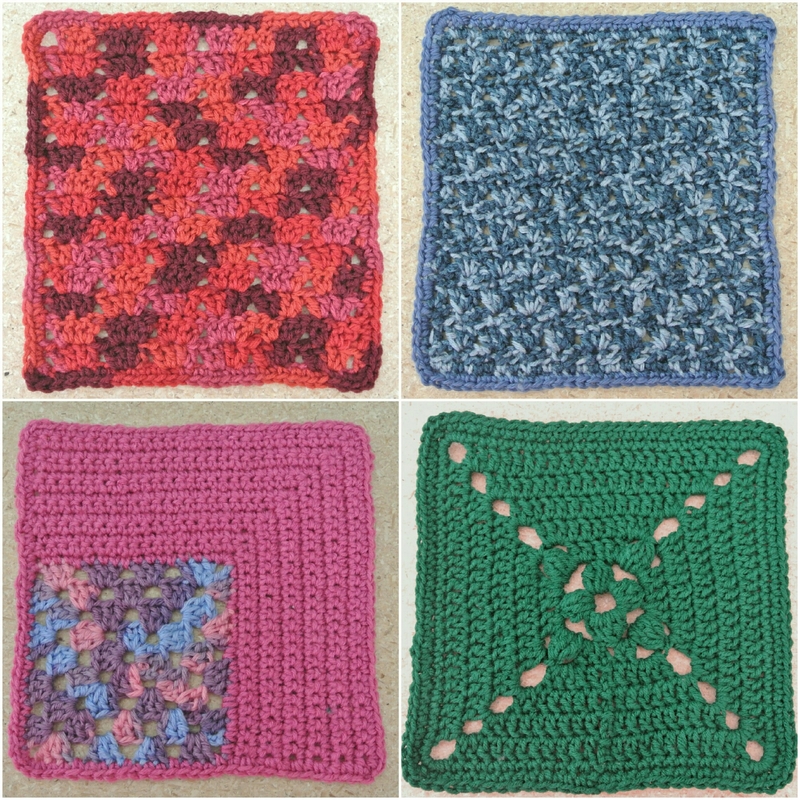 I am not sure yet whether I will add an additional edging to each square in the same color before joining them, so I will decide that later as I get more squares done. I have found that no matter how hard I try, each square comes out a slightly different size. 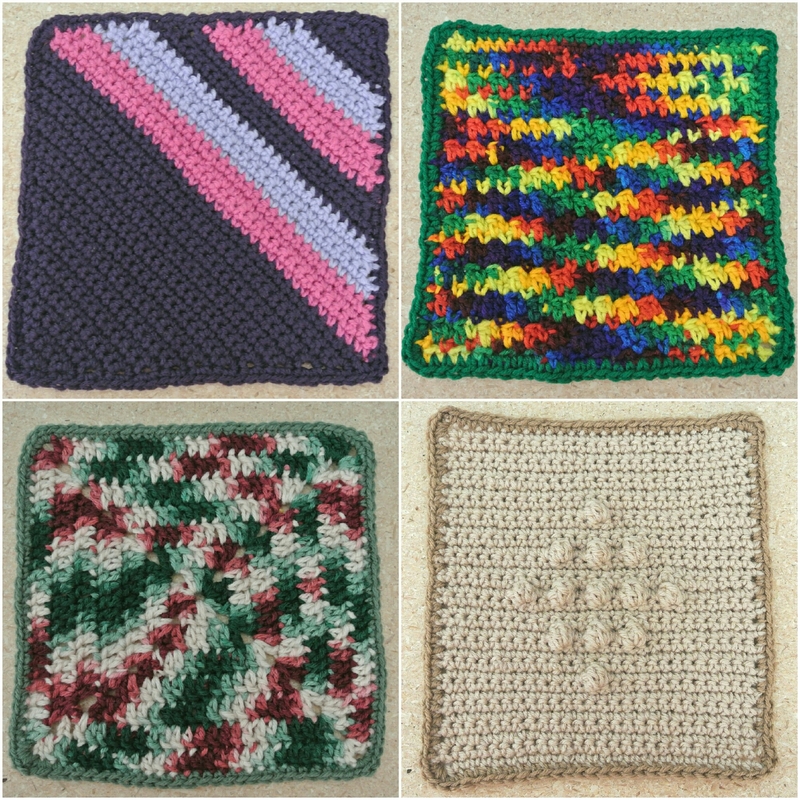 The concept of the book is that the squares come out the same size if you use the same size crochet hook for each one, but it’s nearly impossible to do that with all the different stitch patterns and techniques. Some squares are made in rows and some in the round. The ones made in rows aren’t quite true “squares,” but are a little more rectangular. That’s why I am edging each square with the same stitch count because once they are assembled, most of the wonkyness will even out or be less noticeable. If I wasn’t using acrylic yarn, blocking could help with that too. It’s hard for my perfectionist side to let go, but overall I am enjoying making each square. I am usually not a “bobble” or “popcorn” stitch fan, but surprisingly I am finding these fun to make. The variety definitely helps to keep this project interesting. At the same time, each square is finished pretty quickly so if it’s not a favorable pattern, I don’t have to work it for too long. It’s fun to see the different blocks laid out together the more I finish; this will definitely be an eclectic blanket! Want to join me? Click “Follow This Blog” in the sidebar (or at the bottom for mobile viewers) to follow along and get updates. 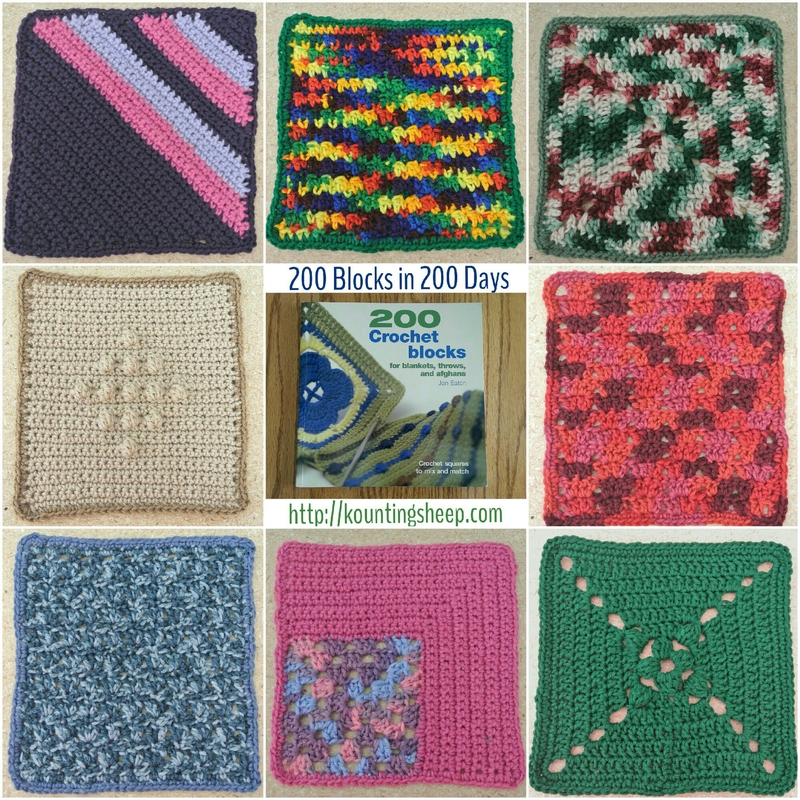 Post your progress in the comments or on Instagram using hashtag #200blocks200days.